No doubt your journey to New Zealand for your working holiday is as long and as tasking as Frodo’s journey to Mordor. Although New Zealand feels like it is far away from everything, there are some amazing countries and tropical islands nearby to really extend your backpacking around Oceania. Don’t miss the opportunity to explore the counties near New Zealand! Don’t know where to start? 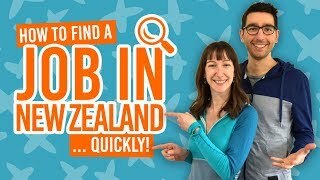 This quick list will give you an idea of what countries are near to New Zealand so you can start adding them to your travel bucket list! The South Pacific provides huge diversity for travellers, whether you are looking for a tropical getaway, another gap year in Australia or something adventurous in the Antarctic. If you are looking to do a working holiday somewhere else after New Zealand, check out Other countries with a working holiday scheme. It should really go without saying. Australia is New Zealand’s big brother, so it would almost be a crime not to visit the Aussies, cuddle a koala and dive in the Great Barrier Reef during your stay Down Under. Find out more in Planning a Trip from New Zealand to Australia. A tropical paradise that is known to be kind to a backpacker’s wallet. There are plenty of affordable hostels and transport around and between islands so you can make the most of the water activities like swimming with sharks or discover the stunning limestone Sawailau Caves. Take a look at Fiji – Guide for Backpackers for more information on backpacking in Fiji, or FijiPocketGuide.com for practical advice on planning your island holiday! Ok, so Stewart Island is not its own country, but it is a small island of New Zealand that many neglect to mention. To say you have visited New Zealand’s third island will blow people’s minds. Plus, it’s a great place to see a wild kiwi. Just have a look at Stewart Island – Guide for Backpackers. On the subject of New Zealand islands that backpackers rarely venture to, cruise over to these subantarctic islands will bring you to its two grand volcanic cones and a habitat for penguins and seals. A more “off the beaten track” South Pacific island, Samoa is filled with wonderful natural attractions across its volcano-formed landscape. Relax on the beach, find insanely beautiful swimming holes, and see blowholes blasting water 30 metres high! For more things to do there, check out Samoa – Guide for Backpackers. This Pacific Island appeals more to the adventure-seekers, with whale swimming, active volcanoes and so much more! There are 176 islands where 60 of those are inhabited. Find out more in Tonga – Guide for Backpackers. If culture is what you seek, then don’t miss Vanuatu with its ancient history and diverse culture. Visit villages where tribes stay true to their traditions and see the famous land dive, which is said to be the inspiration for the modern bungy jump invented in New Zealand. For more information on Vanuatu, visit Vanuatu – Guide for Backpackers. Out of the other South Pacific Islands, The Cook Islands are closest “vibe” to New Zealand you will experience. The culture shares similar traditions, whiles the currency is the same, and the laid back atmosphere. It’s just a lot warmer! Find out more in Cook Islands – Guide for Backpackers. If you want to freeze yourself stupid in Antarctica, taking a trip from New Zealand would be the time to do it. Being in New Zealand is pretty much as close as you can get to the South Pole, so what are you waiting for?